World of Architecture: "world of architecture 2013" Project - Be Part of It! 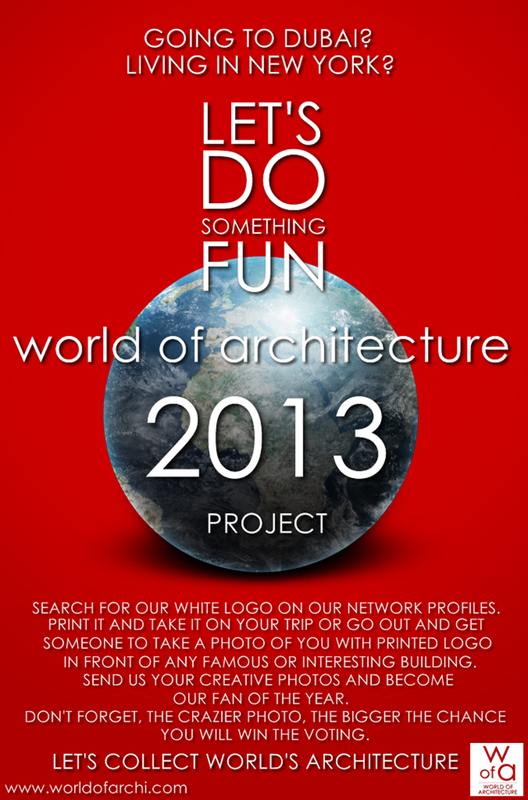 "world of architecture 2013" Project - Be Part of It! Dear friends! Let's do something fun this year. We think that you would agree when we would say how everybody loves to travel, visit other countries, other cultures, other cities, etc. I mean, who doesn't, right? Our world is incredibly beautiful place. There are countless natural wonders across the planet. 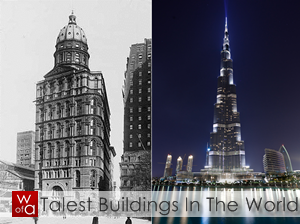 And there are also man made wonders across the planet, called architecture. So we got an idea. If you're taking a trip to some country or city with some famous or less famous but interesting piece of architecture, please take a second and help us with this project called "world of architecture 2013". - Download our special "white" logo and print it on the paper. (don't worry about the printer color, it's white on purpose) Print it large enough (usual A4 piece of paper) to be visible on the photos. - Take it on your trip or go out if you have interesting architecture in your place and take a photo of someone (or get someone to take a photo of you) with the building you picked up. Don't forget about the logo! You can do it in front of the Eiffel Tower or Burj Khalifa or Empire State Building or Statue of Liberty, etc. - Be creative. If you get any idea of how photo could be more interesting or crazy, do it! But please don't hurt yourself! - Send us your photos from the trip with your name (so we can credit you) on contact@worldofarchi.com, or as a Facebook message on our Facebook page. Don't forget to tell us which city you visited and which building is on your photo. When we receive enough photos or decide about the deadline, we will upload them here on our website and organize voting for the best photo. Winner will be pronounced as our fan of the year and his photo will become part of our homepage here on World of Architecture. Sounds fun? It's easy so let's do it! This project takes all year long, so you can do it whenever you can.